Children and families, please join Florida CraftArt’s initiative for educating youngsters and families in the art of fine crafts. Through fundraising and donations of support, we are hosting a year’s worth of workshops made available to those who wish to learn about various craft mediums and their historic connections. Each lesson corresponds directly with Florida Sunshine State Standards for ages 5 – 14. 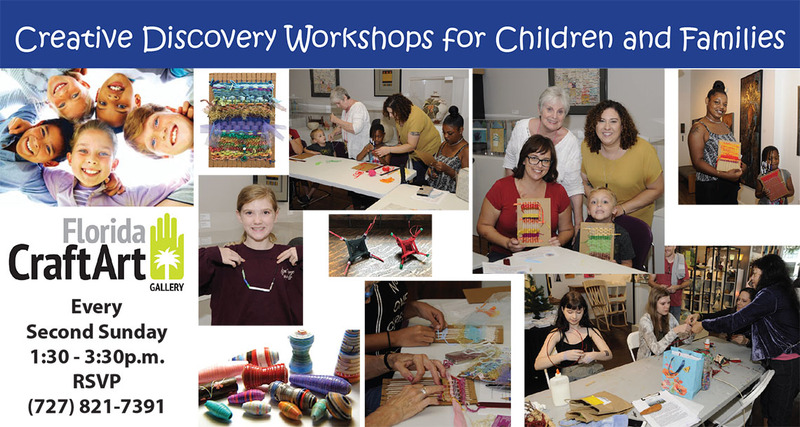 For information about Creative Discovery Workshops, call Florida CraftArt at (727) 821-7381. Cost is $5 per member of Florida CraftArt and $10 per nonmember. Scholarships are available. Children must be accompanied by an adult who may also take the class if space allows.